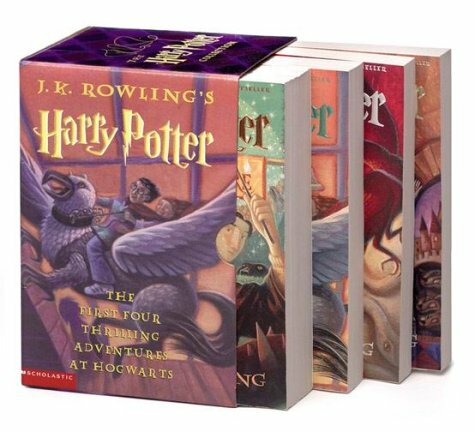 Young wizard-in-training Harry Potter has had his hands full during his first four years at Hogwarts School of Witchcraft and Wizardry. As if studying spells and pleasing professors isn't enough, Harry has heard evil voices in the walls, rescued petrified students, fended off convicts escaped from wizards' prison, and played elaborate and grueling games of Quidditch. Between school sessions, he summers with the horrendous Dursleys, who seem to want nothing more than to crush our hero's spirit. Only time will tell how Harry will manage the certain dangers and escapades in store for him over the next few years.